Under his full wig he looks like a successful but no-nonsense, even grumpy eighteenth century aristocrat or businessman. It would be hard to guess, if you didn’t know, that this is Domenico Scarlatti, the composer of the most inventive, quirky and joyful Baroque music ever written. 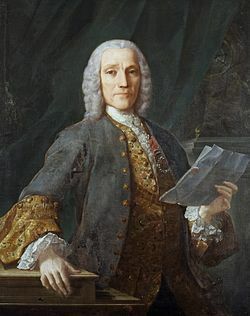 Born in Naples in the same year as Bach and Handel, Scarlatti spent most of his time in the service of the royal families of Portugal and Spain. He’s best known for the 555 keyboard sonatas he wrote towards the end of his life while living in Madrid. They’re all short and mostly in binary form. Today they’re played as often on the piano as on the harpsichord, and for good reason, because each one is full of strange sonorities, skipping trills, asymmetric bouncing rhythms and changes of key that you wouldn’t expect in a sedate mid-eighteenth century style. They’ve attracted performers as diverse as Vladimir Horowitz, Glenn Gould and Joanna Macgregor. Scatlatti’s sonatas have also held a strong appeal for writers. 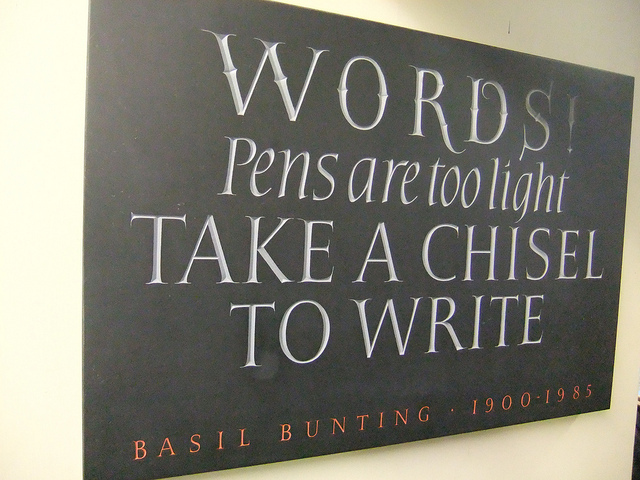 One of their most loyal fans was the poet Basil Bunting. He said that he’d loved them almost all his life, and introduced into the 1980 audio recording of his great, and last major work Briggflatts, a recording of Scarlatti’s sonata in B minor, K 87 (= L.33). Poetry, like music, is to be heard. It deals in sound – long and short sounds, heavy beats and light beats, the tone relations of vowels, the relation of consonants to one another which are like instrumental colour in music. Poetry lies dead on the page, until some voice brings it to life, just as music, on the stave, is no more than instructions to the player. 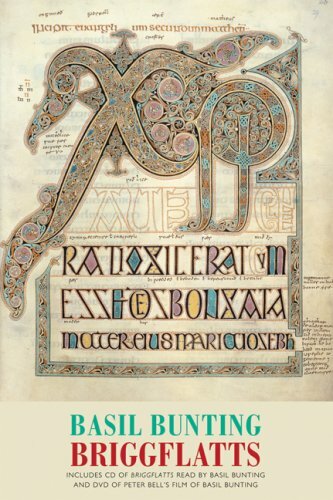 Anyone who doubts this in the case of Bunting’s own work should turn immediately from Briggflatts as printed to the poem as read by the author, in his dark, precisely articulated (and according to some, part-manufactured) Northumbrian voice, which accentuates the constantly changing rhythms and flows of the verse. The parallels with music remained with him throughout his writing career. 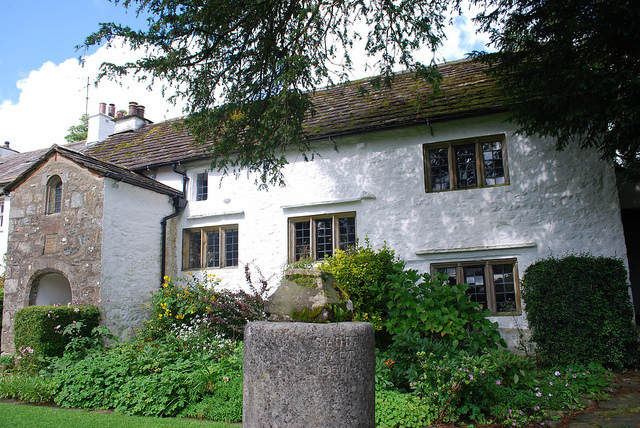 Six of his longer poems, belonging with Villon in 1925 and ending with Briggflatts (1965) he described as ‘sonatas’. He valued music for how it could not be reproduced satisfactorily in words: ‘the most fundamental limitation in the analogy of poetry and music is that poetry can carry only one line of sound at a time’. It’s often said that the shape of a Scarlatti sonata informed the shape of Briggflatts in particular. It’s hard, though, to see how this works in detail. It’s not a ‘binary’ poem in shape. Bunting himself explained its simple structure, which reflects neither the binary nor the later sonata forms in music: four sections corresponding to the four seasons, spring to winter, interrupted by the long third, ‘Alexander the Great’ section, and finished with a coda. Its themes are living things, not specimens pinned down for dissection … the development is as spontaneous as the movement of a beautiful living body. It is intricate as life: intricate but not involved. As the player’s breath warms the fipple the tone clears. and the sun rises on an acknowledged land. Bunting valued economy (‘condensed so much music into so few bars’). His equation ‘dichtung = condensare’ found its way into Ezra Pound’s ABC of reading (‘Basil Bunting, fumbling about with a German-Italian dictionary, found that this idea of poetry as concentration is as old as the German language’, p.36). The spare clarity of Scarlatti’s sonatas was all the more admirable for its lack of virtuosity, or at least swanking (‘see-here’). Bunting goes on to make a large claim for his music: that it mirrors the natural world in all its variety. The music Bunting chose for the audio recording of this section (and after the coda) was K 87. This sonata has none of the quick scales, off-beat rhythms and gaiety of Scarlatti’s quicker tempo examples. It has an air of austere meditation. Some have thought Scarlatti adopted for it a deliberately archaic, sixteenth century style. Others have detected in it an undertow of Portuguese ‘saudade’ or melancholia mixed with nostalgia, which would be appropriate for the tone of section 4 of the poem. Into the lake of silence.